Pattern again from A&N. 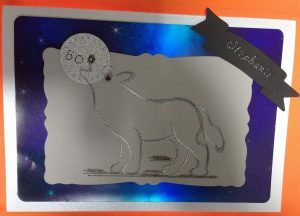 This was a commission card for a 50th birthday. It took a long time to find a wolf pattern, but this one worked so well to get the kind of design we wanted. It is stitched using Madeira variegated thread, mounted on a shimmery night sky card, name and number stitched on to personalise, font from Stitching Cards. 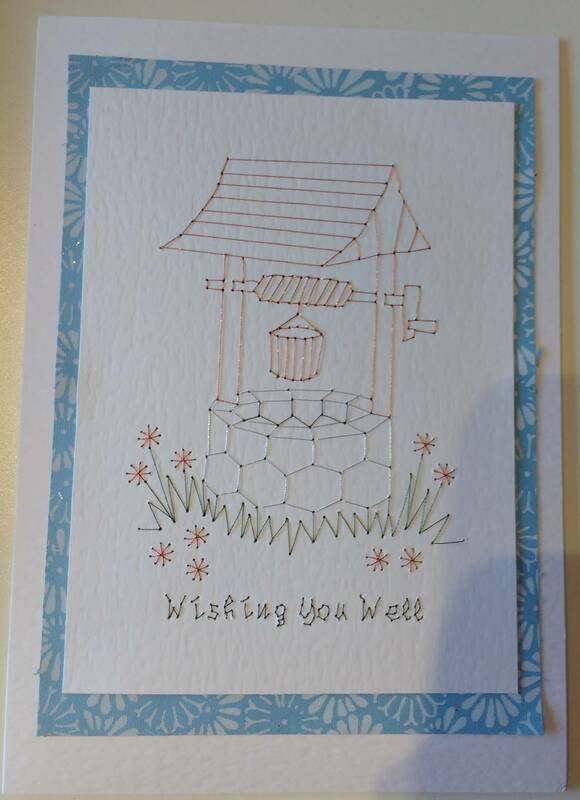 The person who ordered the card and the recipient were very pleased with it. 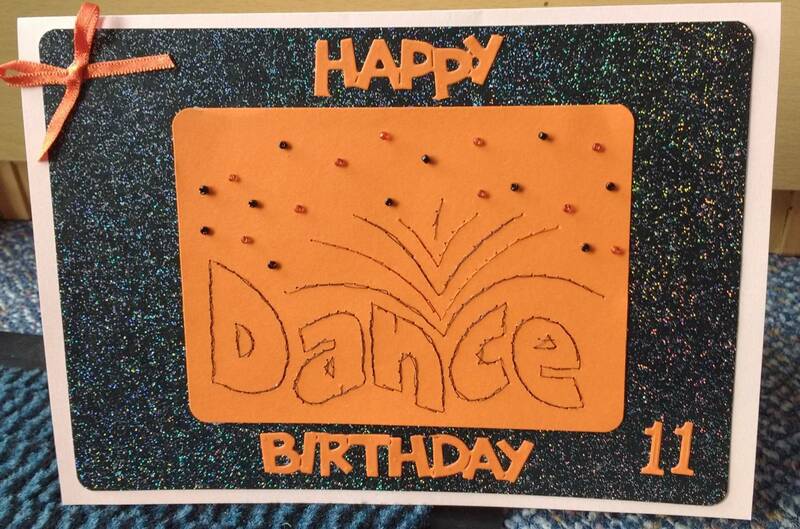 For this card I used a hotfix pattern template and stitched the letters and added beads. 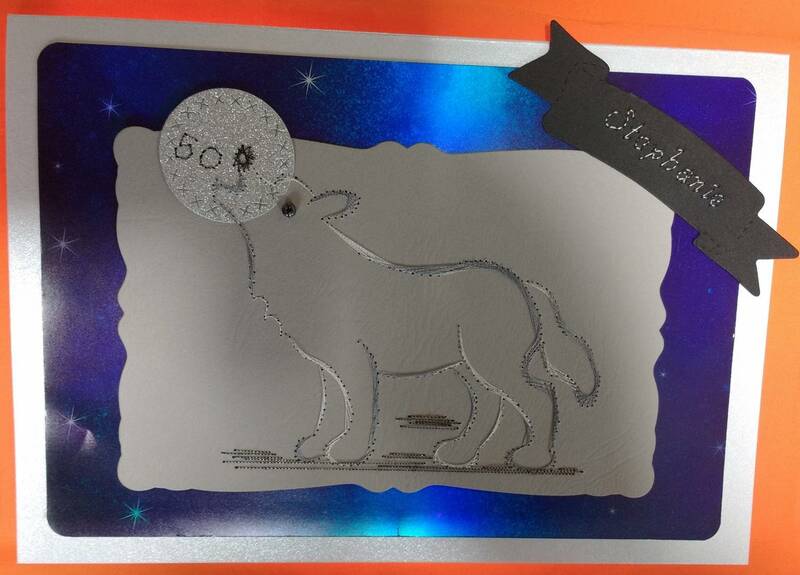 Mounted on black glitter card and die cut greeting and numbers. 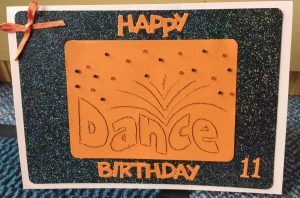 Made for my Niece who loves dancing in the colours of her dance crew. 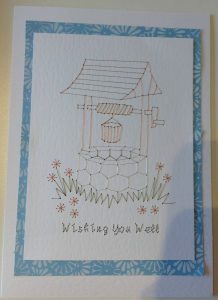 Made for a relative having an operation using pattern from Stitching Cards and added lettering with font from Stitching Cards to suit occasion. Mounted on flowery blue backing paper. I have a few more made, but can’t show them yet, so watch this space!